Cobb and Co Skyline is the original maids quarters for the Cobb and Co House but you wouldn't recognize it! The courtyard is on top of the City looking over the top of the Bendigo Bank. 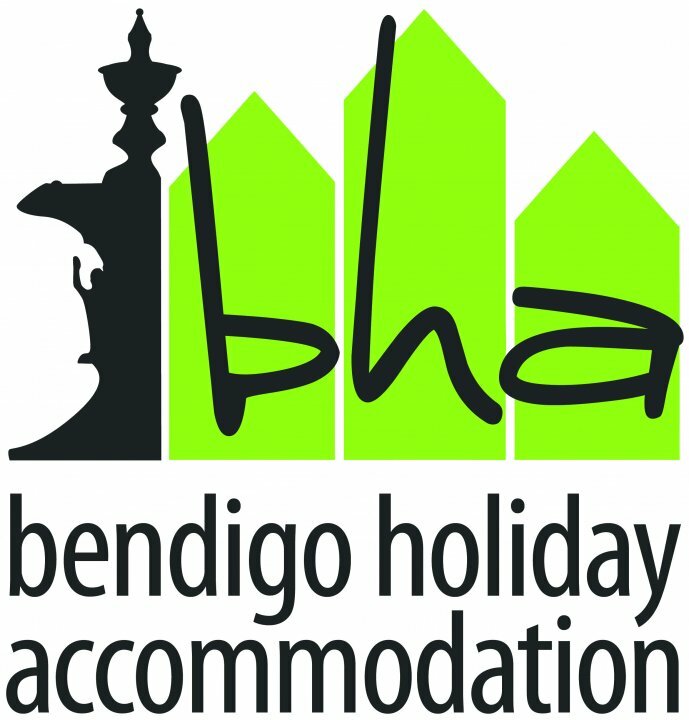 Complimentary high speed Wi-Fi, full kitchen, heated towel rails and restaurants on the doorstep make this modern home a very popular choice for a weekend in Bendigo or staying for the working week on your own. Lock-up garage to secure your vehicle. Bendigo- Skyline- Couples in CBD-is the original maids quarters for the Cobb and Co House but you wouldn't know it. The courtyard is on top of the City looking over the top of the Bendigo Bank. 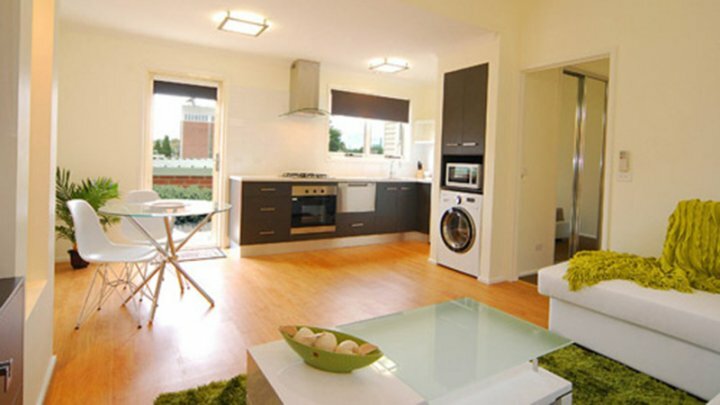 The Apartment is ultra modern with all the latest features. 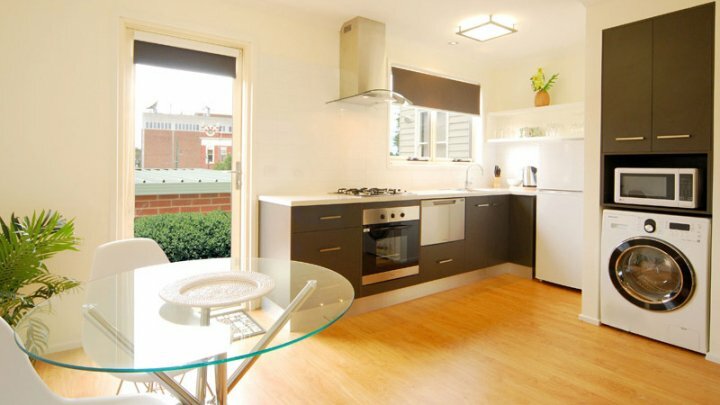 FREE high speed Wi-Fi, full kitchen, heated towel rails and restaurants on the doorstep make this modern apartment a very popular choice for a weekend in Bendigo or staying for the working week on your own. Lock-up garage to secure your vehicle. 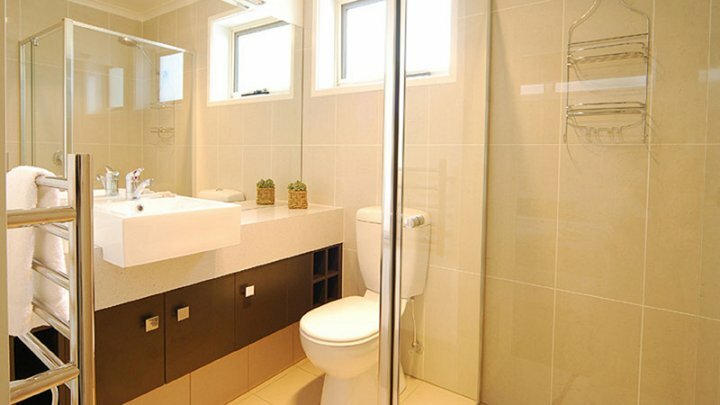 Fully serviced Self contained. Bendigo- Skyline- Couples in CBD is the original maids quarters for the Cobb and Co House but you wouldn't know it. 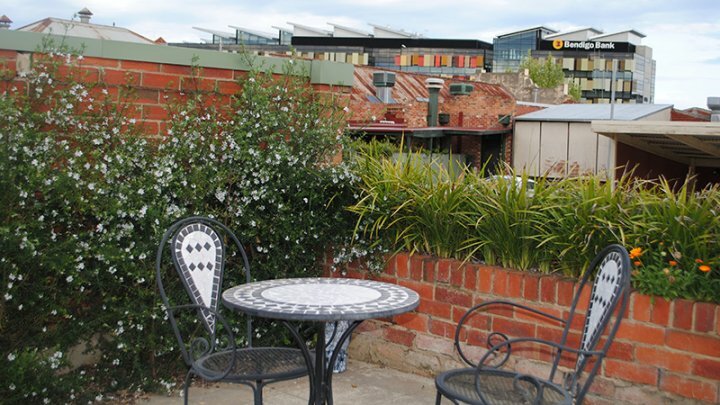 The courtyard is on top of the City looking over the top of the Bendigo Bank. 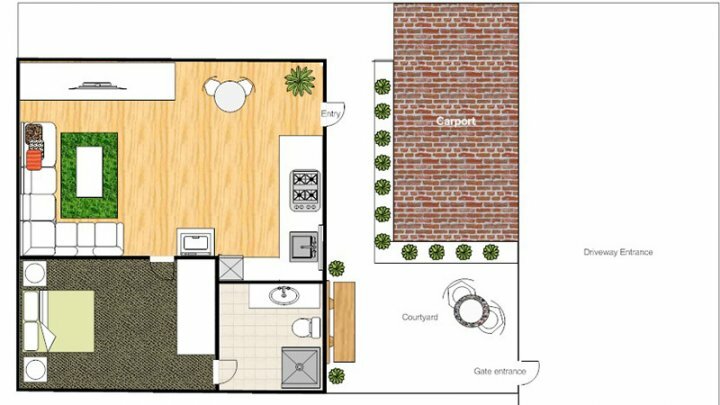 The Apartment is ultra modern with all the latest features. 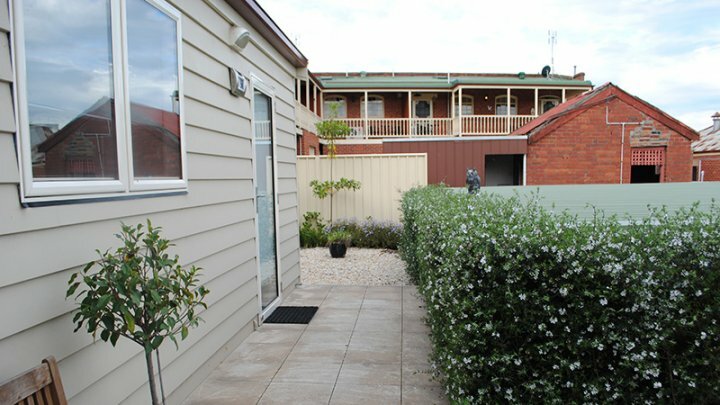 FREE high speed Wi-Fi, full kitchen, heated towel rails and restaurants on the doorstep make this modern apartment a very popular choice for a weekend in Bendigo or staying for the working week on your own. Lock-up garage to secure your vehicle. Fully serviced Self contained. Not a great place to bring children but is the perfect couples retreat or place to be on business on your own. There is a single car space in the Double lock up garage and parking at the front of the house under the old Elm trees is free. Ride the Tram in Bendigo CBD- Walk Through Rosalind Park and Visit the Old Post Office. Go to the Central Deborah Mine for an underground mine tour. 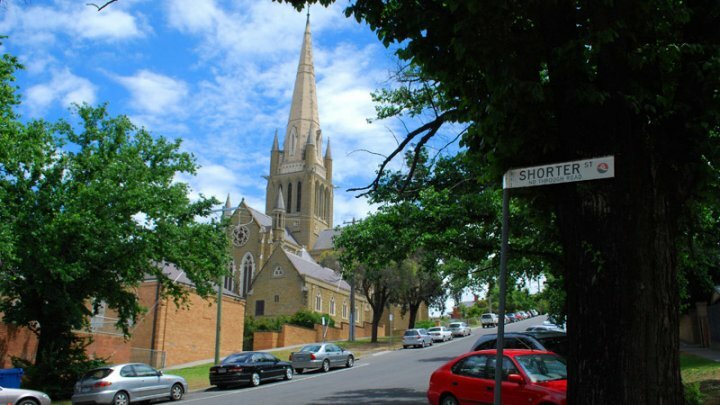 Walk through the Magnificent Sacred Heart Cathedral. Wonder through an exhibition at the Bendigo Art Gallery. Book for a show at the Capital Theatre. Take a Drive to Lake Eppalock and have a picnic while watching the ski boats.